You have 1996 characters. Don’t forget to add important and relevant keywords in your description to improve your iTunes app page and optimize your SEO. Whether your trading portfolio includes stocks, options or futures – or you even monitor Bitcoin and Alt coins – TradeStation’s user-friendly mobile app makes it keep an eye on the markets, your money and your finance and investment objectives – safely and securely, no matter where you are. - Capitalize on trading opportunities in real time with streaming quotes for stocks, indices, options, futures, Bitcoin and other virtual currencies – all in a single screen view. - Be ready to trade your go-to symbols by creating a custom list that sorts and ranks them in real time. - Select from a list of popular options spread strategies or customize your own spread strategy. - View up-to-the-second price and volume information across all strikes and expirations. 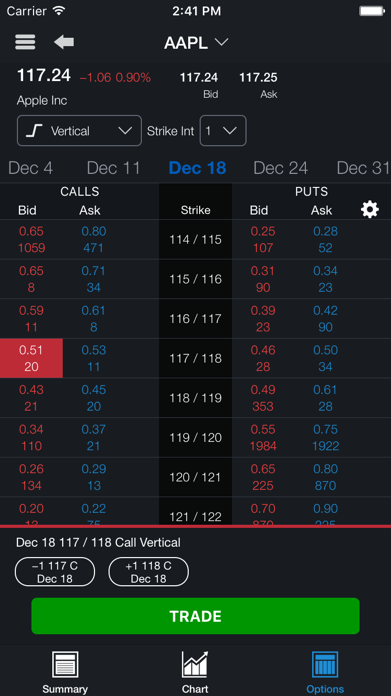 - Supercharge your analysis by accessing options Greeks from the options chain. - Create up to 250 real-time alerts – so you never miss a trading opportunity. 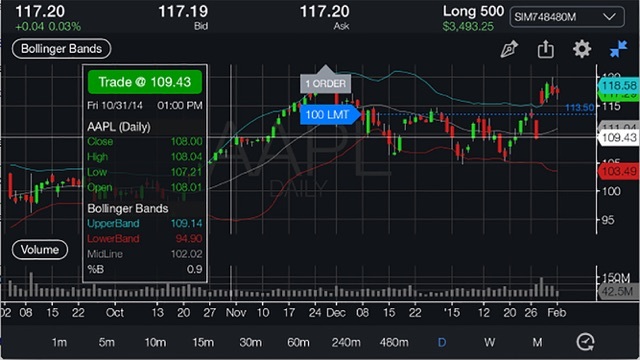 - Customize your set-up with over 10 alert types, including net change, VWAP and volume. 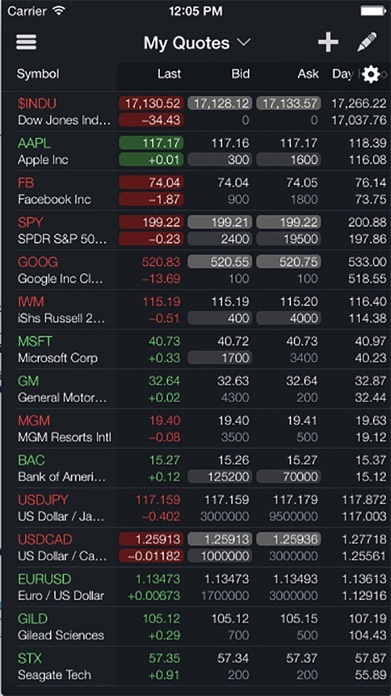 - Add commonly used indicators to your charts and customize their parameters. - Use drawing tools to quickly identify significant movements and trends. - Seize trading opportunities as they occur for stocks, options and futures. - Select the size, type, routing and duration of your trade in mere seconds. 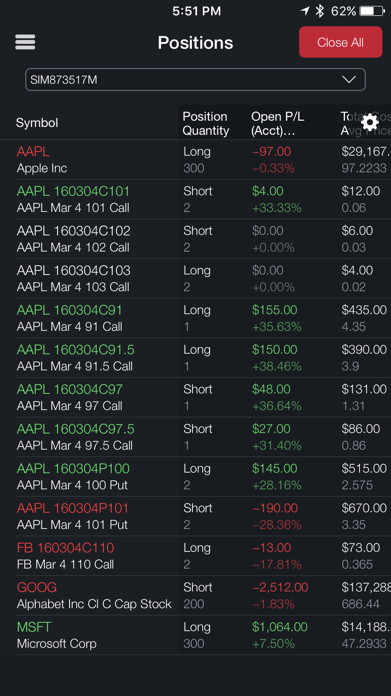 - Toggle between accounts to monitor your positions and orders in a single window. - View your buying power, open/filled/cancelled orders and position status and account balances.